The theme for the 1st Freshwater Ecosystem Network (FEN) in 2013 was ‘Strengthening the incorporation of freshwater biodiversity into the Water Resource Classification System’. The WRCS is a principal mechanism for determining the balance between the use and protection of individual water resources (rivers, springs, wetlands, lakes, surface water, estuaries and aquifers). It identifies which resources need protecting and which will be heavily used to accommodate social and economic needs. 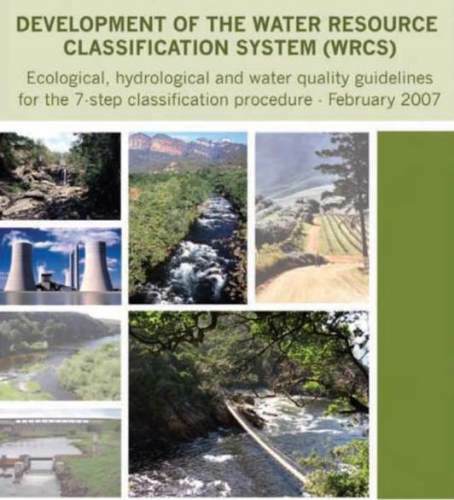 Social, economic and environmental factors are used in determining the WRCS management class that will be assigned to individual water resources by the Department of Water Affairs (DWA), in order to assess the costs and benefits associated with utilisation versus protection of these resources. Classification of water resources is already underway in several Water Management Areas (WMAs), and is planned in the remainder. The classification of water resources is therefore of great significance to the biodiversity sector, and is of direct relevance to those organs of state mandated with the conservation and sustainable use of biodiversity. Beyond the WRCS, advise SANBI and DEA on the description of river types and listing of threatened river ecosystems through the National Environmental Management: Biodiversity Act. Presentations and resources shared over the two days can be accessed via the respective menu option on the left, under FEN 2013.